This Leadership and Change Management toolkit will be take you through key components of leading an organization, especially through changes. Topics will focus on high level concepts with supplementary information provided for more in-depth training. 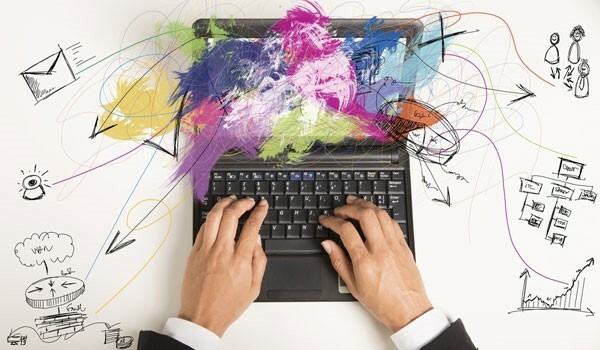 If your affiliate has a success story, new project, accomplishment or best practice you’d like to share in this newsletter and on the please complete a quick survey to submit an idea for inclusion on our monthly newsletter. The affiliate relations team will be in touch to follow up for more information. Please email any questions to affiliate@eatright.org. Each month the NYSAND Communications Editor, Drew Hemler creates the NYSAND Newsletters for their members. The newsletter highlights what is happening with NYSAND and other nutrition/health topics that may be of interest to members. Julie Balsamo, the NYS Student Liaison, worked with fellow student representative Marnie Fridman to develop a presentation to help educate students about the Academy, NYSAND and NYSAND districts. NY plans to use the presentation across the state. Review a Q&A with Julie. The Oklahoma Academy has recently started working with Fox News in Oklahoma City to collaborate during weekly cooking segments hosted by member dietitians. Each week the Oklahoma Academy posts a link to the newest segment on their website and on social media. Visit the Oklahoma Academy website to learn more and view the recent video segments. Both the OK Academy and Fox 25 are very happy with the segments and the feedback received from viewers. 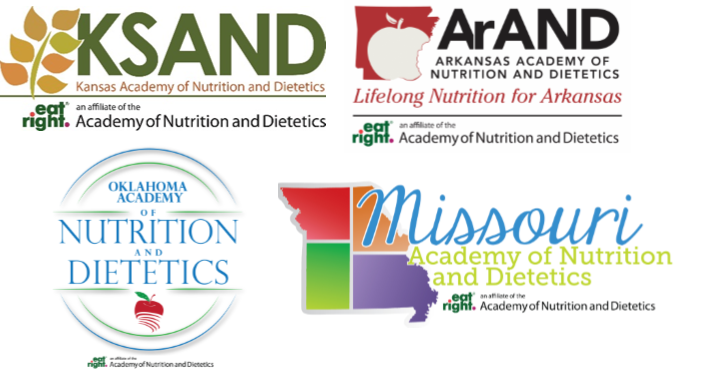 Contact Heather Engelman, MS, RD, LD, Executive Director of Oklahoma Academy of Nutrition and Dietetics for more information. Minnesota’s Commissioner of Health Dr. Ed Ehlinger is known for saying “Public Policy is what we do together”. The longer I’m involved with state policy initiatives, the truer this rings. Minnesota Academy of Nutrition and Dietetics (MAND) has approximately 1700 members in a state with roughly 2200 RDNs and 5.5 million people. Our state motto is L'Etoile du Nord or "Star of the North." Minnesota is known for Prince and Bob Dylan, the BWCA (Boundary Waters Canoe Area, as in Canadian border), the Mall of America, and the perpetually winning Lynx Women’s Basketball team. Oh and let’s not forget to mention U.S. Senator Al Franken’s Congressional Hot Dish competitions. Over the years as MAND State Policy Rep, I have also learned that Minnesota is “above average” for state public policy initiatives. No apologies for borrowing “above average” from Prairie Home Companion radio show either. The real question was how to get MAND plugged into the well-established state policy sector. The Minnesota Academy Board of Directors recently decided to update their website, initially designed in 2008. An outdated look and feel combined with inefficient functionality made the decision to update an easy one. One of the challenges faced by MAND was the old website was created on a customized platform by a developer which required edits to be made by the developer. This was cumbersome and costly resulting in updates not being made and content becoming outdated. 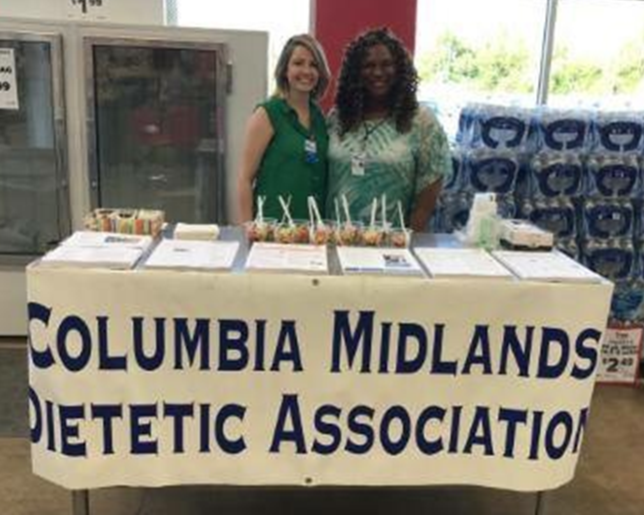 During March, the Columbia Midlands Dietetic Association partnered with a local organization, Foodshare South Carolina, to share the love of food and healthy eating with the community members of Columbia, SC to celebrate National Nutrition Month. Foodshare is an organization aimed at providing good healthy food for all. Located at a local grocery store, Foodshare takes orders every other week from individuals all across the Midlands for a box of fresh fruits and vegetables. The boxes are $20 each and provide a variety of fresh produce. If an individual has SNAP benefits, they are not only able to use their SNAP dollars on the box, but an additional $10 in Healthy Bucks is provided to the individual making the cost of their produce box only $10. As the national association celebrates 100 years, the New Jersey Academy of Nutrition and Dietetics is turning 85. During these years, the affiliate’s primary focus was internal, serving members through continuing education opportunities, providing awards and scholarships as well hosting an annual meeting. More recent decades also found us seeking licensure, something our members continue to support. 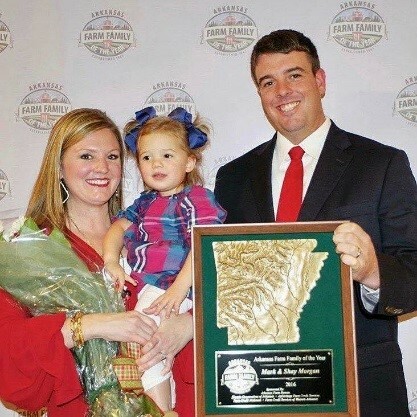 The Arkansas Academy of Nutrition and Dietetics is excited to highlight one of their members, Shay Morgan, MS, RD, LD, for the recognition she and her husband Mark Shay received as the 2016 Arkansas Farm Family of the Year. The Morgan’s have a diverse farm and were selected as the winners of this award based on a criteria that includes production, efficiency and management of farm operations, family life and rural/community leadership values. Shay uses her knowledge of nutrition and food safety during farm tours and community outreach programs. The Illinois Academy of Nutrition and Dietetics’ Capital Area Academy of Nutrition and Dietetics (CAAND) district recently demonstrated hands-on ways to give back to their community. Led by CAAND President, Josh Kleczynski, and CAAND members Gayle Jennings, Amy Melton and Katie Kassel, they offered their knowledge and support to the area Transitional Shelter. The Transition Shelter provides shelter, transition housing, treatment centers and women’s residential services. 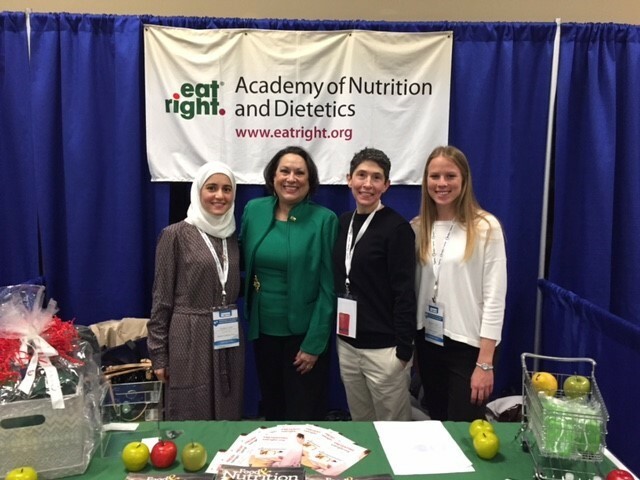 In the past year the DC Metro Academy of Nutrition and Dietetics (DCMAND) revamped its communication plan to be more consistent and effective with messaging to both members and the public. Below is a summary of improvements that have been made. Hawaii Academy of Nutrition and Dietetics. A physician-dietitian team at Shiners Hospital for Children – Honolulu has achieved startling results for children with severe neurological disorders through a medical approach increasingly supported by new research – the ketogenic diet. Ryan Lee, MD, Director of the Neurodevelopmental Clinic, and Miki Wong, MACO, RD, YFT, Clinical Dietitian, began working with the ketogenic diet in 2013 at The Honolulu Shriners Hospital Neurodevelopmental Clinic, where families using the high-fat, moderate-protein, low-carbohydrate approach to manage their children’s seizures inspired the clinicians to include such therapy in their practice. The Georgia Academy of Nutrition and Dietetics represented GAND, the Academy and our members at the World Congress on Diabetes recent event hosted by the Center for Diabetes Education, the World Community for Prevention of Diabetes and the American Association for Clinical Endocrinology. The 9th World Congress on Prevention of Diabetes and its Complications event was hosted December 2 to 4 in Atlanta, Ga. President Lucille Beseler, MS, RDN, LDN, CDE, FAND represented the Academy and presented a session with fellow members. The Academy hosted an exhibit booth staff dedicated GAND members. There is something special about the time of year when FNCE® rolls around and Academy members are able to submerge themselves in one location to learn new things, meet new friends and reconnect with old ones, hear from experts, and make new memories. The Tennessee affiliate took full advantage of FNCE® being on their own turf to rally enthusiasm from new and current volunteers. TAND’s efforts to maximize being the host state of FNCE® was a proud moment for the affiliate, a way to connect members and the community, and great for a successful Academy FNCE®. Recognizing the vital role public policy plays to the dietetics profession, the Kansas Academy of Nutrition and Dietetics recently hosted a Public Policy Boot Camp. Advocacy is an important focus for the Kansas Board, and a dedicated event provided an opportunity to improve member education and preparation on public policy and advocacy initiatives. The idea to host a joint affiliate reception at FNCE® 2014 in Atlanta came about at the 2014 Affiliate President-Elect training in Chicago. The Oklahoma, Missouri, Arkansas and Kansas affiliates were all seated at the same table. During a break the then Presidents-Elect started making connections through the people and places they knew. It started to make sense that the affiliates work together. 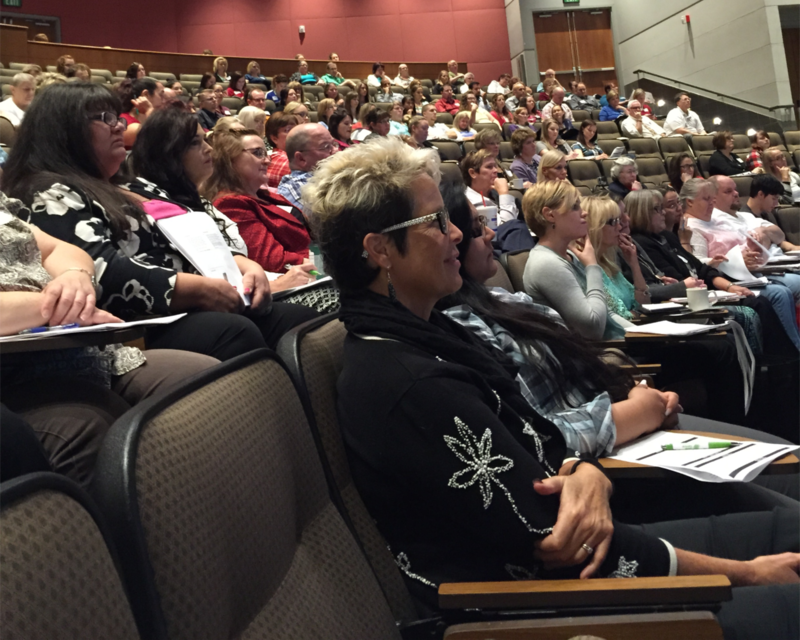 Oklahoma had always hosted a member reception at FNCE®, and the other states liked the idea. The joint reception worked very well in 2014, so the leaders decided to continue it again at FNCE® 2015. The Idaho Academy of Nutrition and Dietetics received a CDR marketing grant in March 2015, and has used the funding to help promote the profession and the affiliate organization. A committee of the affiliate, whose goal was improving awareness of RDN services to stakeholders and providers, wrote the grant application and took ownership of fulfilling deliverables using the funding. The Maine Academy of Nutrition and Dietetics’ (MAND) Food Security Task Force has been working with Portland Rotary's Childhood Hunger and Education (CHE), Full Plate Full Potential, the Senate task force to end student hunger, and The Locker Project, to increase registration, participation, and consumption for school food programs. The project began when the Portland Rotary made it part of their mission to raise awareness on childhood hunger and at the same time Senator Alfond presented a new bill, LD 933: An Act To Implement the Recommendations of the Task Force to End Student Hunger In Maine, which was enacted this year. Dave Seddon, Maine’s President, who is also a member of Rotary, and Pat Watson, Maine’s Past-President, thought that MAND could partner to help the cause in 2014. The Texas Academy of Nutrition and Dietetics holds an annual leadership orientation each summer, typically in June or July. All newly elected and appointed officers and leaders are invited to attend the two day event held at a local hotel. District organizations can sponsor other members to attend, if desired.